(P1) With the $20 billion U.S. CRAFT BEER market growing at 22 percent a year, compared with FLAT SALES for the beer business overall, Seattle startup Tavour is targeting ADVENTUROUS AFICIONADOS. 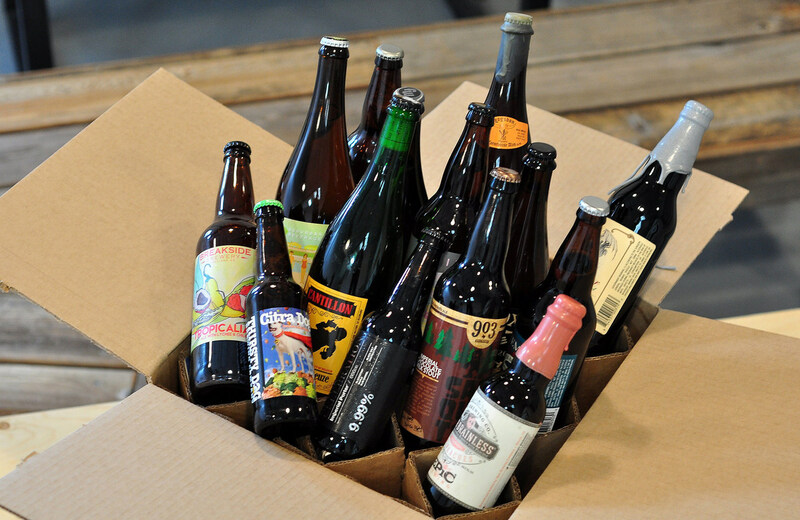 (P2) Once customers sign up for Tavour’s e-mail service, they get daily offers for highly rated craft beers in limited quantities of 3 to 12 cans or bottles. Options include a wide range of domestic brews—Saison Premiere from De Garde Brewing in Oregon, the Bomb! from Prairie Artisan Ales in Oklahoma—and a decent number of imports, such as Belgium’s Brouwerij Van Steenberge Gulden Draak Brewmasters Edition. More unusual OFFERINGS include peanut butter PORTERS and single-HOP sours. (P3) “People have very DISTINCTIVE tastes, and the Internet is allowing them to explore those tastes,” says Tavour Chief Executive Officer Sethu Kalavakur. (P4) Customers reply to the daily e-mails if they want the beers on offer. Recent prices range from $2.50 to $20 a beer. (P5) Before starting Tavour, the co-founders did research for six months. “We tried a lot of beer,” Kalavakur says. Mostly, though, they talked to consumers, he says, trying to figure out how to appeal to craft brew ENTHUSIASTS and NEWBIES. (P6) To brewers, Tavour pitches itself as a new DISTRIBUTION CHANNEL that can reach serious BEER GEEKS. (P7) With consumers, Tavour relies heavily on STREET CRED. “As craft beer fans, we want to support small, local operations that remain true to their roots,” reads a typical Tavour e-mail. $20.00 USD is an expensive price for a bottle of beer. What is the most money that you have ever spent on a beverage? How much shopping and buying do you do on the Internet? What is the most popular type of alcoholic beverage in your country – beer, wine, or something else? People can be aficionados of beer, food, movies, sports, almost anything. What are you an aficionado of?